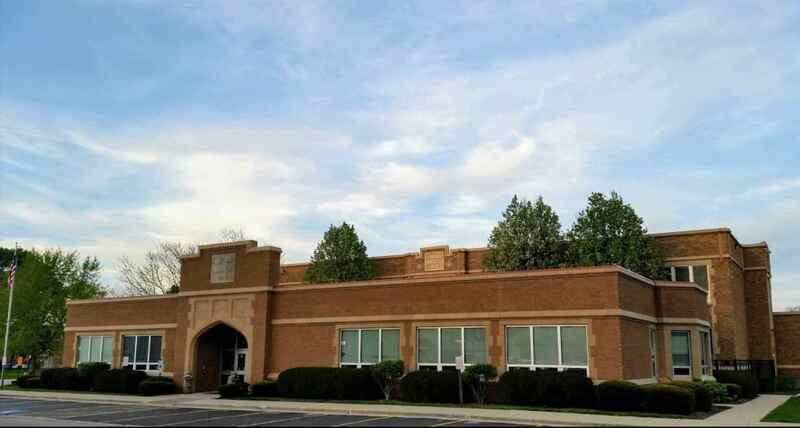 Built in 1928, Lincoln School is the oldest K-5 building in District 303, and is one that is unique and special. In addition to serving those students who live within the immediate “neighborhood” near Lincoln School, neighborhoods also included within the Lincoln School area are: Surrey Hill-Longmeadow, Pottawatomie, and Renaux Manor South. The 2000-2001 school year was a historic year for Lincoln School. Construction of our new addition housing a Learning Resource Center and a new office complex was completed in April, 2001. Since its opening in 1929, Lincoln School has seen only one other addition to the original structure. 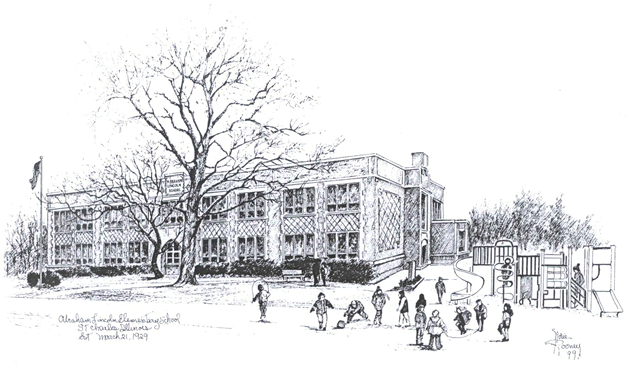 In the early 1960’s the current Art/Music room was added to the original building. Lincoln School is the smallest elementary school in the district. For many years, Lincoln has served as a “two-section” building, that is, there are two sections of each grade level, with the exception of fifth grade, which is a one-section for the 2017-18 school year. With its small enrollment and supportive parents, Lincoln School provides a very special, caring, learning environment for its students. Take an online tour of Lincoln School and learn more about its rich history with Abraham Lincoln Elementary School: Celebrating a St Charles Story. My overall goal is to challenge all students to achieve success, developing strong leadership qualities, critical thinking skills, along with being motivated to be active participants in our community. A statement I came across in the past year that I keep reflecting and connecting to is below, and I hope to support this at Lincoln School. As educators, parents, and students we are a dynamic community of learners committed to respecting childhood, challenging the intellect, nurturing creativity, fostering reflection, encouraging possibilities for the future. We believe that a developmental, child-centered approach to education is the most effective way to meet the needs of our students and the high level of expectations we set for them. We are guided by a set of beliefs embedded in a culture that honors traditions, reflects on transitions and make choices about transformations.